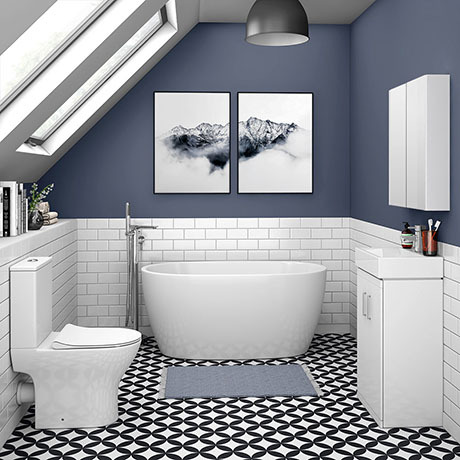 This stylish space saving free standing bathroom suite is ideal for smaller bathrooms. Features a modern small freestanding bathtub, 450mm wide white vanity unit and modern short projection close coupled toilet. Supplied bath has been designed for use with wall mounted or floor mounted free standing taps. Compact bathroom suites are ideal for smaller rooms in the house where space is at a premium. If you want to make a statement with your bathroom design, then choose from our luxury collection.